. 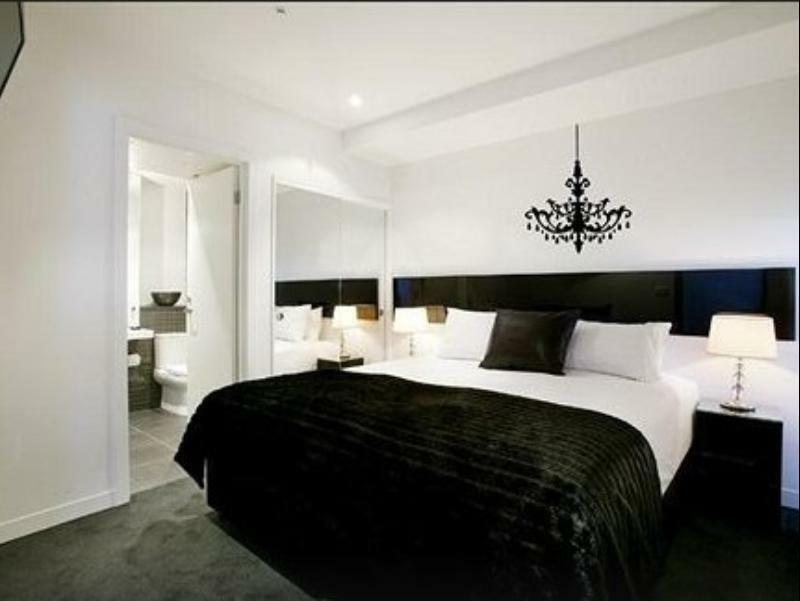 إن حسن الضيافة والخدمات الراقية التي تعرف بها Punthill Apartment Hotels تغني تجربتك في Punthill Apartments Hotels South Yarra Grand. تتضمن الميزات الرئيسية في هذا الفندق: مجهز لذوي الإحتياجات الخاصة, مكتب الاستقبال على مدار الساعة, مرافق مخصصة لذوي الاحتياجات الخاصة, تخزين الأمتعة, واي فاي في المناطق العامة. لقد جهزت هذه الإقامة الفندقية بعناية فائقة لتوفر مستوى عالي من الراحة. في بعض الغرف يجد النزيل تلفزيون بشاشة مسطحة, بياضات, مرآة, صوفا, مناشف. يقدم الفندق العديد من الفرص للاستجمام كمثل مركز للياقة البدنية, سبا. 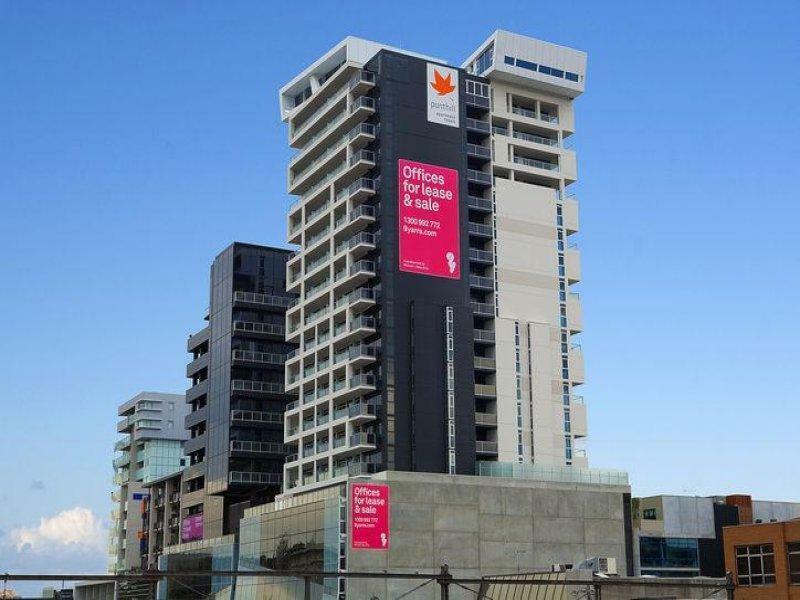 يشكل Punthill Apartments Hotels South Yarra Grand بخدماته الراقية وموقعه الممتاز، قاعدة مثالية للاستمتاع بإقامتك في ملبورن. This hotel had everything we needed for a group - we stayed in a 3 bedroom apartment that was on level 10. Beds were comfy and great interior design. Location was perfect for what we needed with coffee shops etc just outside the hotel. Hotel staff were extremely helpful with early checkin and late checkout was not a problem. No faults would definitely stay here again. Small but great apartment for a short stay. Nice touch with the patch of grass on the balcony. Would stay here again. The accommodation was perfect for one night stay . Unfortunately Agoda has misrepresented the venue and description was inaccurate. I would have booked something else if I had known they no longer had spa facilities. Also Agoda has not updated the car park price. 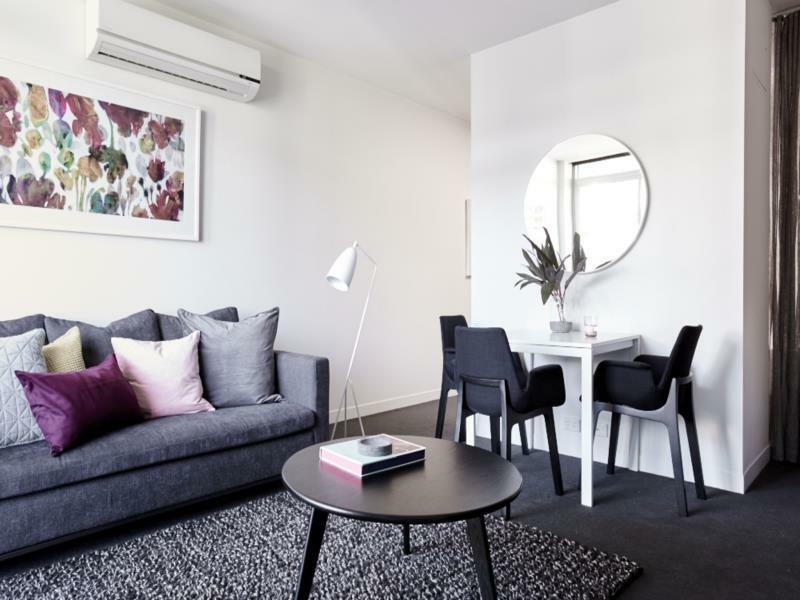 The apartment is located next to South Yarra station so it was very convenient to travel into the city. The apartment was very clean and the service I received from housekeeping and reception were great. The stay was enjoyable, however, the wifi cost $10 per day, wherebt nowadays most hotel are giving it complimentary. Parking cost $12 per day which is still acceptable as the location of the hotel was right in the city centre. South Yarra train station was just a stone throw distance from the hotel. This hotel has a very nice city view, is refreshing to have such a nice view when I wake up in the morning, standing at the balcony with a cup of coffee. The only not so good about this room is the washing machine & dryer is built in side one of the room and is very noisy when we do cleaning at night. Other than that, is highly recommended. stayed here multiple times. great location. great rooms. great price. 110% recommend. But I was really upset with Agoda for not changing my booking name to Hazel Fernandez instead of Khoo Boo Hin when I received the confirmation in May 2017. I emailed Agoda immediately to rectify the name in the system and you did not do it and caused me a lot of grief when I tried to check it after a long flight from Kuala Lumpur on July 8th 2017. Punthill did not have the correct Agoda number too. Thank God I had the Agoda APP on my phone and managed to get the correct number and contacted your representative in Melbourne who got it rectified and only then I managed to check in. It took almost 2 hours of stress and anxiety. I don't know who this Khoo Boo Hin is anyway and how his name is in my profile??? Thank God the 2 employees at Punthill South Yarra, Alex & Sarah were very helpful. I am still very upset with Agoda for not responding to my emails but you are so good at wanting to get our feedback on our bookings only. Shame on you. Amazing service, location and facilities!!! They upgraded me to the 2 bedroom room for free and made my stay there an absolute pleasure!!! Will recommend to any type of traveler as location (right next to South Yarra station) and value for money are second to none!!!! Great job and thank you once again!!! this is the second time we have stayed at the punthill apartments, great location as my daughter lives just of Church St. the room was tidy and clean and has all the amenities that you need for a short stay. The decor was classy and tasteful, apartments were properly cleaned everyday. only downside is the sounds of the trains in the morning but beds were comfy and warm . Staffs were kind and attentive too. First stay but will definitely come back again for my next trip. The staff is very friendly and helpful. Very near to train station and a lot of eateries nearby. Bunch of convenient stores too. About 5-7 mins walk distance to Woolworth for groceries of 2 mins for IGA. My family & I spent 2 nights in this apartment. Overall, I am satisfied with the staffs services and cleanliness of the apartment. The cons of the apartment is that you need to pay $12 daily for the parking lot and need to pay for the wifi. Staff going out of their way to accommodate us. Proximity to city. Large rooms with good facilities. Staff very helpful in both accommodating an early Check-in and late Check-out even though it was AFL Final w/e - they couldn't have provided a better service. 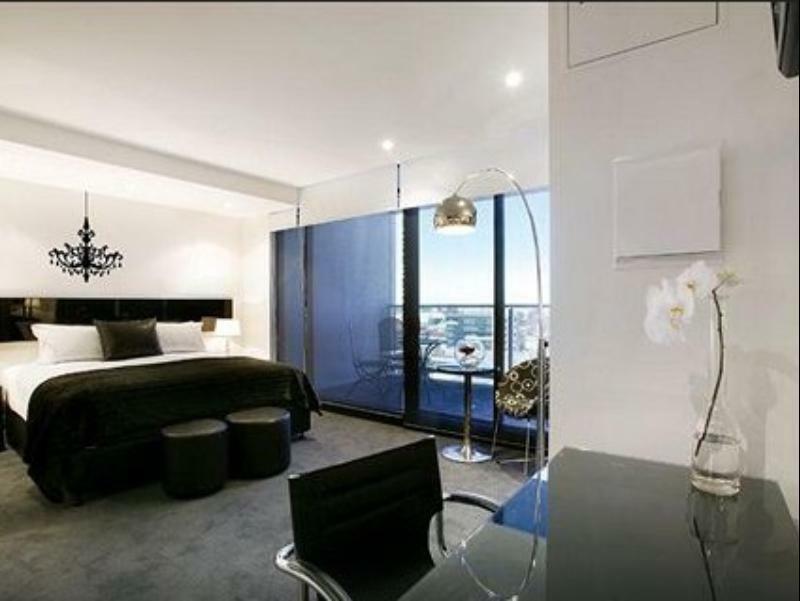 Room, although recently vacated, was impeccably clean and had everything needed for either a nights stay or a weeks stay including cooking facilities, washing machine and a balcony with a great view over the city. All in all, a very satisfactory stay at a very reasonable price. We really enjoyed our stay. Everything we needed was in the apartment. Restaurants/take out is located nearby. The only negative would be that there are currently building works going on around Punthill. This contributes to higher than normal noise levels. Comfortable bed. Quiet inside when balcony door closed. Balcony with view. Excellent. 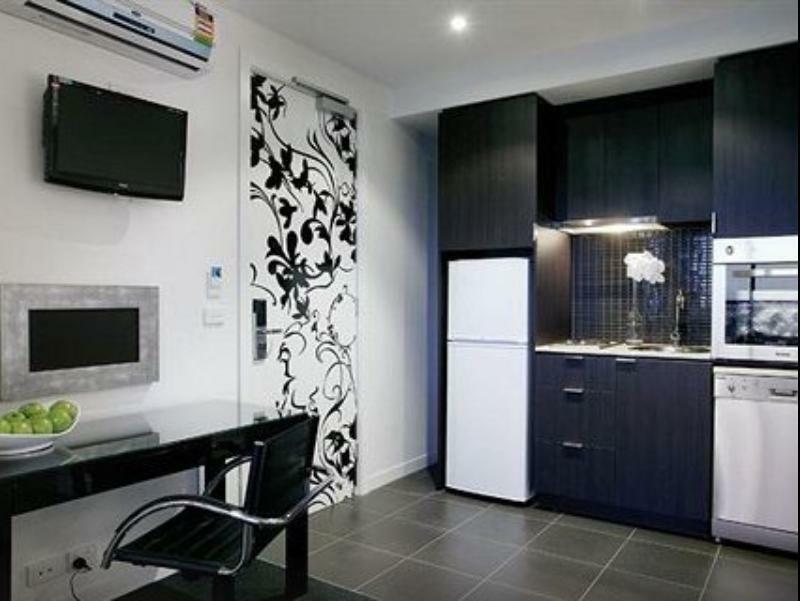 A clean, compact and modern home away from home with everything you could need there. Excellent customer service from all staff. Very happy with parking. Great location. Interesting, refreshing and modern decor. A cute metal dog sitting on a mat of grass looking in from the balcony. Some nice touches added.